You need your wireless network to be rapid, instantly accessible and secure from external threats, that is why it is critical to have it expertly designed, installed and configured. Our in-house project managers and engineers have a wealth of experience and knowledge in delivering wireless systems for organisations of all shapes and sizes. The first step towards a better wireless network is having one of our engineers conducted a wireless survey. From there we can provide a solution that will meet all of your requirements. Why choose Lynx Networks for your Wireless Network? Our experts are equipped to carry out in-depth active and passive wireless surveys, and to provide detailed heat-maps after installation. We can provide a seamless service and reduce costs having your complete installation carried out by our in-house technicians. A WiFi network can open you up to security threats so Lynx embed robust security measures into the design. 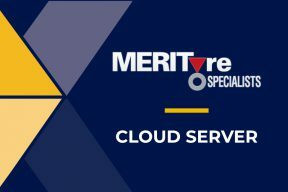 Our claim to be proven experts in IT Infrastructure is backed up by a wealth of accreditations, including ISO 9001 and manufacturer partnerships. Through our partnerships with Cisco, Meraki, Ruckus and HP, we are able to provide our customers with exclusive offers. 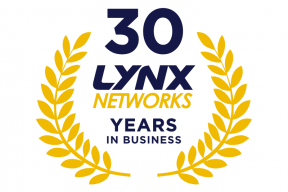 With three decades of experience in IT infrastructure, Lynx has been providing WiFi solutions since they became common practice. Call today on 01908 633833 for complimentary expert advice on your wireless network or use our online form to arrange a survey. 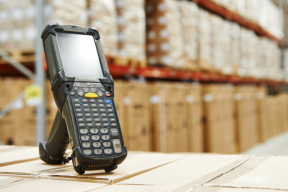 To ensure a reliable, secure and accessible wireless network, it is critical to have your premises properly surveyed. The type of survey necessary is dependent on the nature of the site in regards to the size, structure and required application. All of our surveys are conducted by our experts using AirMagnet with spectrum analysis to create detailed heat-maps of your premises. What is an active survey? Active surveys take place on a live wireless network. They use your existing APs to create a heatmap of your current WiFi coverage whilst measuring things like round-trip time, throughput rates, packet loss and bandwidth. 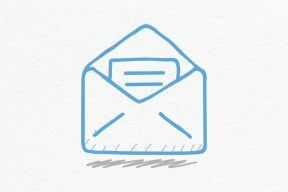 We then use specialist software to perform a series of tasks such as sending/receiving large files and ping tests. Using the results of this survey we can produce you a detailed report that includes heatmaps of your coverage. When would you need an active survey? You might need us to conduct an active survey if you have issues that need troubleshooting or you want to upgrade an existing network. The survey’s results will reveal gaps in your coverage. Active surveys can also be used as post-installation surveys to ensure everything is working as intended. What is a passive survey? When we conduct a passive survey, we use an AP and a wireless device (typically a laptop) to generate data about your Radio Frequency (RF) environment. We then take the results and use intelligent software, along with a schematic of the area, to create a wireless network design. When would you need a passive survey? A passive survey is the best possible option if you are looking to create an entirely new network that will be required to cover a large area. Unlike active surveys, they do not require the presence of an existing network in order to be carried out, therefore they are ideal for new builds or refurbishments. What is a predictive survey? Predictive surveys are carried out remotely by using a plan of your premises and applying simulation tools. We use intelligent software to account for signal loss and reflections from things like walls or large objects and uses ‘virtual access points’ to create a design for you that maximizes coverage. Why would you need a predictive survey? Predictive surveys are usually conducted when carrying out a physical survey is not a viable option; this could be due to strict time or budget constraints. Predictive surveys can be carried out remotely and are therefore usually the cheapest option. With smaller locations, a predictive survey is often all you’ll need. Cloud wireless systems give you control of all of your sites WiFi networks from a single web-based portal. Simplifying scalability, configuration and maintenance. Looking for more than just Wifi cabling? As well as being experts in wireless networking, we also have 29 years experience in delivering industry-leading structured cabling networks. Are you looking for a wireless network for your school? We have produced a helpful guide that outlines some considerations when investing in a wireless network for the education sector.